Customers at Eden Park in Rugby are forging new friendships at a series of 'meet the neighbours' coffee mornings being staged by Sales Advisor Sue Richards. 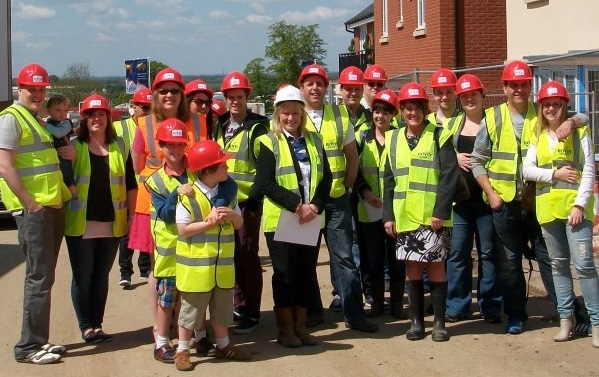 So far two Saturday morning get togethers have been held in the show home with more than 50 customers turning out to meet their new neighbours-to-be and enjoy a guided site tour to see and photograph their homes under construction. The coffee mornings are also supported by the development solicitor, Independent Financial Advisor and Customer Care and Site Managers who can update customers on progress. Sue said: "As many of the homes are still under construction the coffee mornings are a good way of keeping in touch with customers, getting them updated by the team and enables them to meet their neighbours. Our customers are really enjoying the opportunity to get to know each other before moving in and it's building a great sense of community. It's quite a social event now and has generated a real positive vibe to the site and even though one customer has moved in they still want to come to the coffee mornings!"